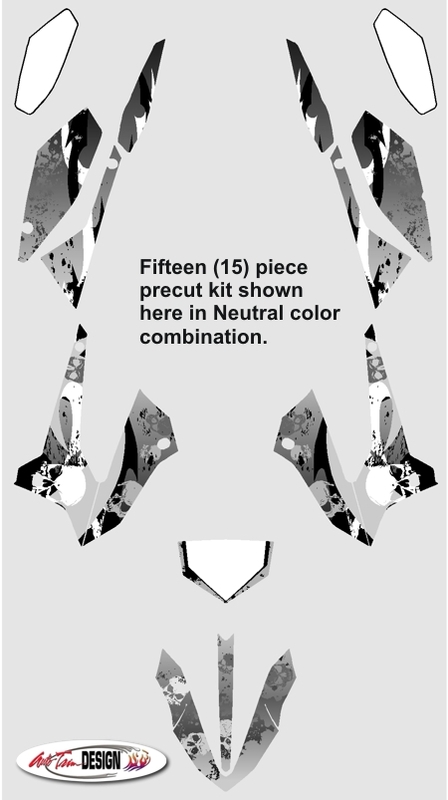 Fashion your bike with this awesome fifteen (15) piece Tribal Grunge and Skulls Graphic kit. Precut to fit the '09-Current Kawasaki KLX 250SF and KLX 250S, the graphics are easy-to-install and make the bike look great - NO TRIMMING required! Available in three (3) color combinations. 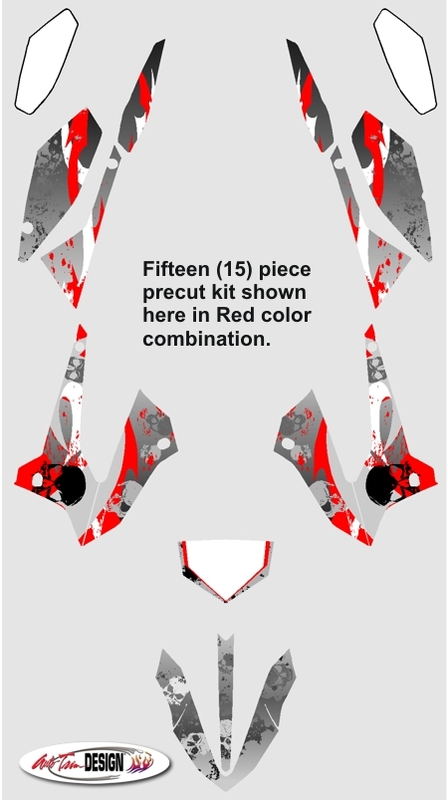 Kit includes one (1) Blank Numberplate for each side.